A group of senior leaders from major Food and FMCG firms wants to hear from innovative companies, entrepreneurs, start-ups and university spin-offs with new ideas that can meet their innovation needs. 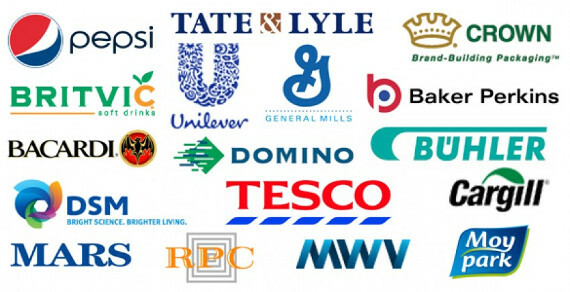 Members of the Open Innovation (OI) Forum, including Mars, Unilever, General Mills, Tate & Lyle, Tesco and Crown Packaging will evaluate propositions at the 3rd Food & FMCG Innovation Pitching Event on Wednesday 19 November at Food Matters Live, ExCel centre, London. The event is open to all sectors of the innovation community from the UK and beyond – be it SMEs or B2B companies, start-ups, entrepreneurs or University-based researchers and organisations. All participants will have their pitches circulated to OI Forum members and up to 15 innovators will be selected to pitch their ideas at the event. Deadline for application is Friday 24 October 2014. The University of Cambridge Open Innovation Forum was set up in 2010 by IfM Education and Consultancy Services, (IfM ECS), the dissemination arm of the University of Cambridge Institute for Manufacturing, to provide support and opportunities for companies involved in the Food and FMCG value chain. To help participants understand which areas are in need of innovation, Forum members have issued a list of current ‘Innovation Needs’ for their sector. Products sought include: sustainable packaging, reclosing systems for metal cans, sugar reduction solutions and anti-counterfeit technology. Cambridge-based company Bactest that has developed a portable precision respirometer to test for microbial contamination of food and liquid. Ideas which were highly commended include: intelligent inks and pigments for colour-changing labels on food packaging to allow consumers to see if the product is past its best; a salt reduction ingredient; and a traceability technology that provides information about food to shoppers and information about shoppers to food suppliers. For more information on the Pitching Event and to request a pitch visit this page. For more information on the OI Forum click here.